So we have chosen Saturday, July 21, as our One Summer’s Day – and all we are asking is for the sun to shine and for you to send us a snap of what you are up to. 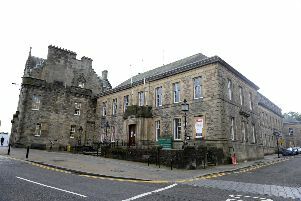 We will feature all the best photos on our website at www.linlithgowgazette.co.uk and in the Linlithgow Gazette, Bo’ness Journ al and Queensferry Gazette. And the best one, as chosen by our panel of judges, will then be put up against One Summer’s Day pictures taken by readers of our sister titles across our Johnston Press publishing group to find a national winner. Editor Janet Bee said: “We’ve had a sizzling start to July and are looking forward to many more sunny days to come. “We want you to capture what makes a brilliant summer’s day and so are looking for you to capture that perfect moment. To take part in One Summer’s Day, email your picture to editorial@journalandgazette.co.uk or message our Facebook page. And remember, only photos taken on Saturday, July 21 will be considered.